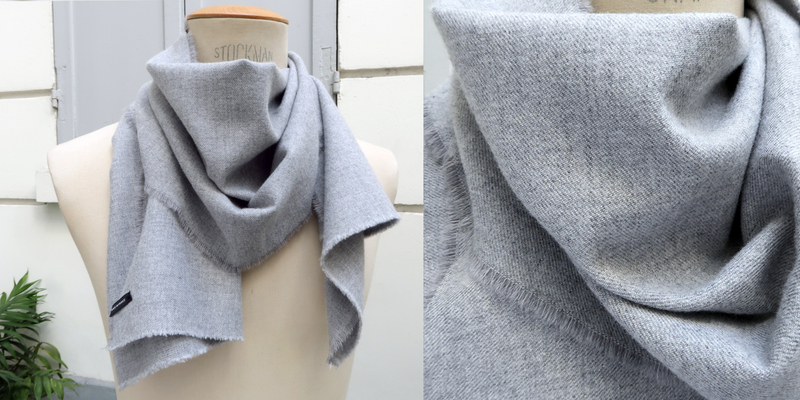 Parisian gray scarf, in extra virgin wool, available in 160cm * 30cm or 160cm * 60cm version, hand fringed finish or black cotton bias on both sides. A little scarf for the man or the woman. The refined weave, slightly moiré obtained by a mixture of wool yarn of different colors. Extra sweet and very good quality. Pure Virgin wool: is obtained by mowing the wool of a sheep. The designation "pure new wool" corresponds to a product which has been added to a maximum of 0.3% of other fibers that is to say without recycled wool and without any other fiber.